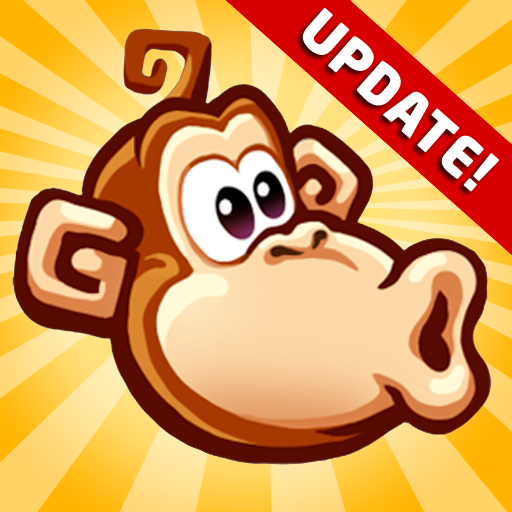 Angry Birds has been updated multiple times since the last time we updated our review. Now there are over 120 levels with the most recent update adding 15 news ones as well as a new bird type. The game now has so much to do with every one of the 120 levels a joy to play, with plenty of challenge and fun. The new bird reverses flight on tap to launch past a structure, and then hit it on the opposite side of the launch. After these updates there are new things called golden eggs which are hidden in the game, and are super complex levels. The one thing about this game compared to all the rest is that not only are there a lot of levels, but you will want to play everyone with most of them multiple times. Angry Birds may have the most depth for the price with such deluxe and numerous levels for only $1. This is easily an absolute must so if you still haven''t bought it this could be the best $1 you ever spend. Angry Birds is a solid physics puzzler for the iPhone. Luckily Rovio doesn't just want a solid game, they want a great game. The recent 1.2.0 update moves Angry Birds up from just simply a solid game. Now there is a whole new world containing 42 more levels of pig smacking action. Crystal is also included for online high scores for each level, as well as achievements. 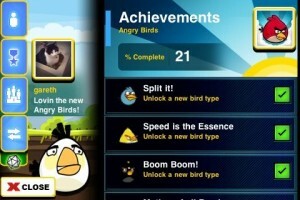 The Angry Birds update boosts replayability by a huge degree, and gives you way more of the great gameplay. Playing through all the levels, and then going for high scores and achievements packs so much value in for only $0.99. Angry Birds can't but be a must buy. 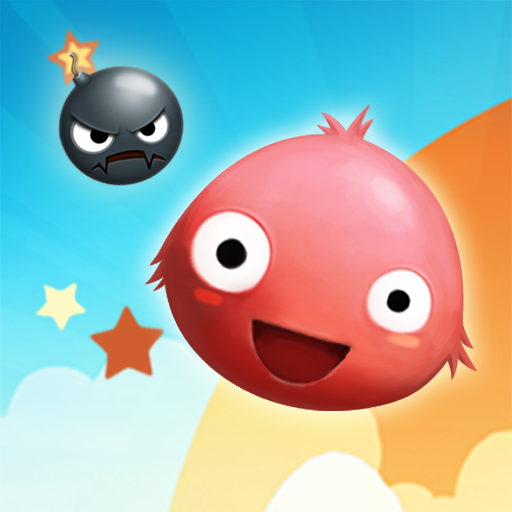 Angry Birds is a brand new physics based puzzle game that is published by Clickgamer. This type of physics puzzle is yet to be seen in the App Store, though there have been exploding items, structure building, and crayon type ones. 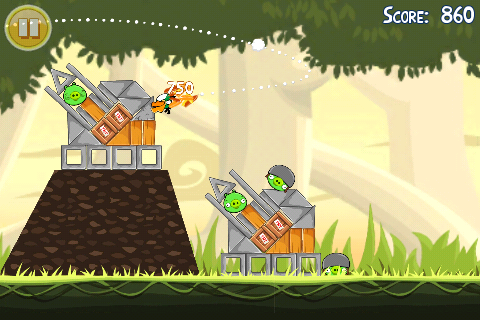 Angry Birds has the basic gameplay mechanic of Boom Blox where you fire items at structures trying to knock them down. 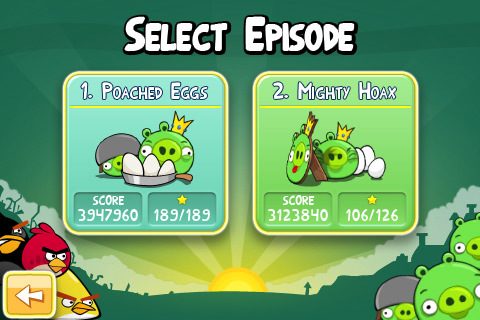 In Angry Birds green pigs have stolen the birds’ eggs therefore making them angry, and they’re seeking revenge. The pigs are in structures, and you slingshot the birds at the structures to make the structures collapse, and hit the pigs. 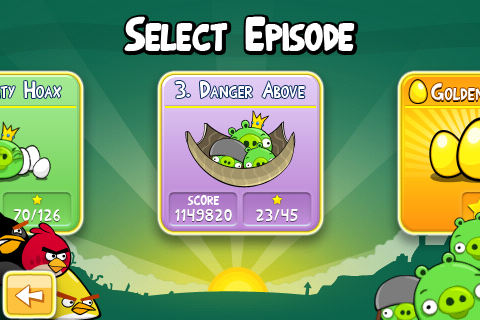 Angry Birds features 63 levels of bird slinging, structure destroying, pig popping fun. 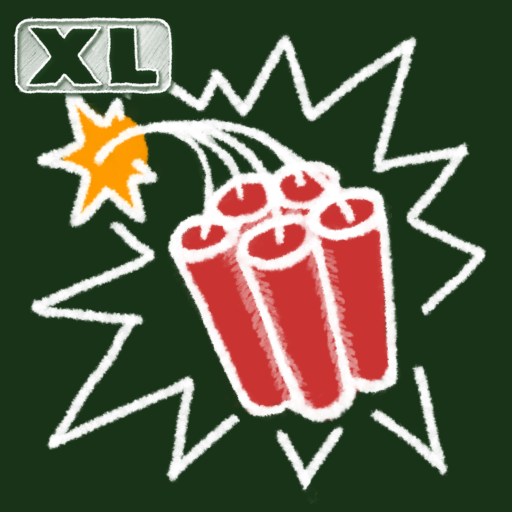 Each level is unlockable by completing the previous, and there are three worlds of increasing difficulty. Every level is rated one to three stars based on score. The game is simple to control, just drag the bird back in the slingshot, and release to fire. There are multiple types of birds from basic red, to blue that split into three when you tap, yellow that accelerates on tap, and black bomb birds exploding on tap. Your score is based on structure pieces hit and destroyed, pigs hit, and birds remaining. Angry Birds has a lot of good going for it. It’s a unique iPhone physics game, and it’s executed very well. Every level gives you a brand new challenge, and it will take a few tries to get those little piggies living piggy lives with their piggy wives. It’s fun to sling birds into structures to break the structures to come crashing down on to the pigs. A nice aspect is that it’s a long distance in between so you can’t see the structure while launching which adds to the challenge. Another nice addition is variable birds to give you different tactics to attack the pigs. The game difficulty amps up nicely so you'll never be completely stumped or have it feel too easy. You can just get lost repeatedly launching birds at these structures, as two levels are never the same. 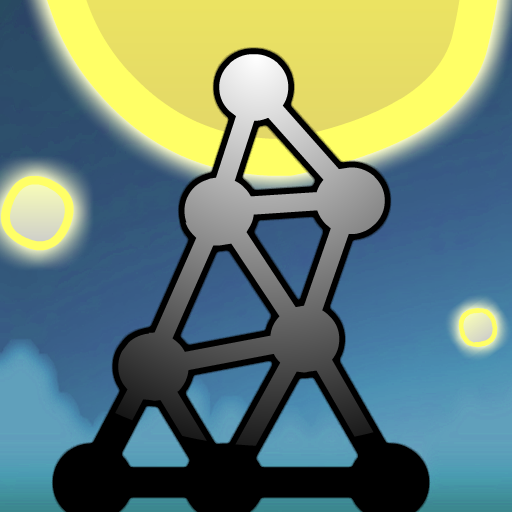 A wonderfully challenging physics puzzle game made for all. Many levels require more than once just to figure out what's needed, and then find the right pressure points of the structures. Next you’ll want to play levels again to better your star rating, as you know it’s just a slight adjustment to get three stars. The physics engine is spot on, especially for a cartoon world. The structure's weight shifts appropriately from the force of the birds, and the trajectory they fly in at. The character design is great cartoon artwork from each type of bird to the absurd circular green pigs. The animations are really well done as the structures break down, and the birds and pigs look battered. Each character shows emotion and personality without uttering one word. The soundtrack in the menus is great, but it’s sadly not included in the game. Just the high pitched grunts and gruffs from birds, and pig snorting, and its quite funny. One minor problem I found was that pulling the sling, and dragging the screen perspective both are controlled by dragging so a couple times it would drag the screen instead of the sling. Also the game is score based so it would be nice to see online high scores and achievements. Angry Birds is another great physics puzzler to grace the iPhone. It fits into a unique niche to give physics puzzle fans a new type to play over and over. The game is really well made, and gives you plenty of challenge and fun along the way. Angry Birds is a should buy for $0.99, and potentially higher if you’re a physics puzzle fan. I do believe this game can open up the genre for those new to it.